Khosro Adibi, Julia Barton, Kate Bellis, Mike Collier, Robbie Wild Hudson, LEO, Kim Lewis, Sally Matthews, Imi Maufe, Nigel Morgan, Jilly Morris, Helen Pailing, Ingrid Pollard, Jenny Purrett, Karen Rann. 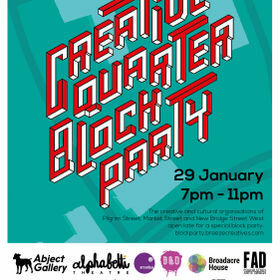 The creative and cultural organisations of Pilgrim Street, Market Street and New Bridge Street West open late for a special block party on the 29th January. This year Breeze Creatives and ¡VAMOS! 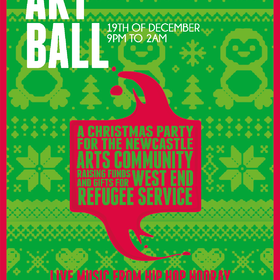 have decided to bring back the Art Ball and we would love for you, your colleagues and organisation to be part of this… so we are asking that instead of celebrating Christmas amongst yourselves that the whole of the arts community join together for shared celebration and an opportunity to raise money for a great cause. NEW! Performance Salon - November. 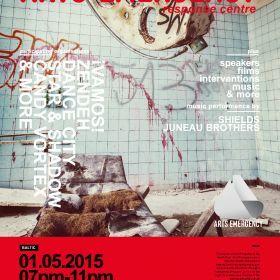 Curated by Jade Currie and featuring Anette Friedrich Johannessen, Luke Mullen and Victoria Sharples. On the 1st of May, Breeze Creatives will be hosting an event at the BALTIC to introduce and showcase London based charity Arts Emergency. 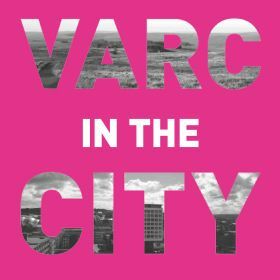 Co-founded and ran by Josie Long and Nick Griffiths the charity is dedicated to helping disadvantaged people gain access to arts education through a mentorship program. They believe that each person who has been fortunate to have been helped along their artistic career should give back. Whether it is through the mentor system, or by donation to the charity.